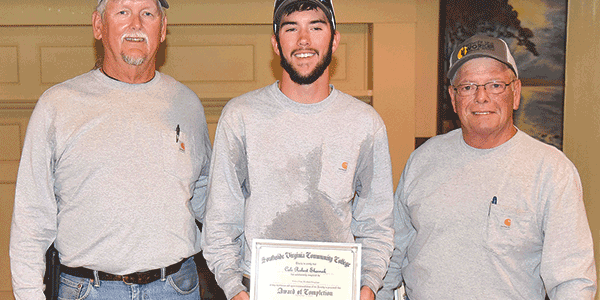 ABOVE: Cole Shornak of Chester, center, was among the 21 students who recently completed the SVCC’s Power Line Worker Training Program. 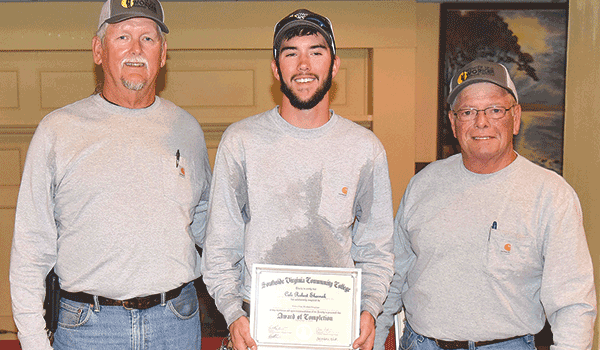 He is flanked by instructors Clyde Robertson and Brad Wyke at a Sept. 19 graduation ceremony. 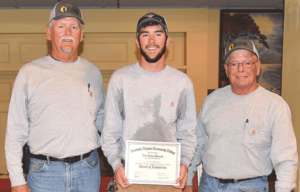 Chester resident Cole Shornak, a graduate of Thomas Dale High School, recently completed the Southside Virginia Community College’s Power Line Worker Training program. The 11-week program provides both classroom and hands-on training in safety, climbing techniques, electrical theory, aerial framing, rigging, operation of utility service equipment and for a commercial driver’s license. The college offers the Power Line Worker class in Blackstone at the Occupational/Technical Center in Pickett Park. For information, go online to southside.edu.